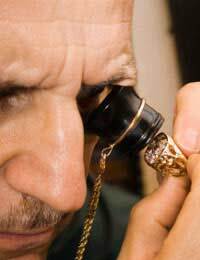 The role of the pawnbrokers is to lend quick cash in return for the security of a valuable item. The relationship between a pawnbroker and someone who has pawned an item is governed by a credit agreement, and the interest rates are usually quite high. So how do you get your item back from a pawnbroker, and how much will it cost you? When you pawn an item, you generally have six months in which to return to the pawnbroker to buy it back. Your receipt (which is sometimes also the credit agreement) is vitally important. If you lose it, you must tell the pawnbroker immediately to avoid someone else being able to buy back your item. If you borrowed more than £75 for your item, you may have to pay a small fee to a solicitor or commissioner for oaths to make a ‘Statutory Declaration’, which is a legal procedure in which you swear that the goods are rightfully yours. Making a false statement during a statutory declaration is however a criminal offence. What If I Cannot Afford To Buy Back My Pawn? If the item was pawned for over £75, at the end of the six month period you will receive a notice that the pawnbroker intends to sell your item which gives you a further 14 days within which to come up with the money. If you don’t respond or don’t pay, the pawnbroker can take steps to sell the item and should obtain the true market value for the item. However, if the item doesn’t make as much money as the amount you borrowed, you will have to pay the difference. If the price that your item fetched at auction was too low, and you have evidence to show that this was the case, take the pawnbroker to the small claims court. It will be for the pawnbroker to show that the price achieved for your item was reasonable and fair in the circumstances. In this situation the court can also determine what they think the item should have fetched at the sale. Also, if a pawnbroker refuses to give you your item back, this may be a criminal offence for which the criminal court has the power to offer you compensation. Conversely, if your item makes more money than you borrowed, the pawnbroker has a legal obligation to pay you the surplus money. Be warned, though – you will probably have to ask for this extra money! If the pawnbroker refuses to refund the surplus money back to you, the courts have the power not only to order him to pay this money to you but also the interest on the surplus from the sale of your item. This interest is discretionary, however, but is set at 8%. Some lenders offer a scheme of ‘sale and buy back.’ This is a short term loan in which you sell your item and then buy it back (at a higher price) either in one go or in instalments. However, you do not have the same protection or rights as you do with a pawnbroker. Using the services of a pawnbroker can be very useful in the event that you need quick cash on a short term basis, especially in economically difficult times in which the banks and other lenders are tightening up their credit lending policies. The most important thing is to make sure you know your rights, and read the small print of the credit agreement before you sign.